Hillside B&B is in the heart of the Wiltshire countryside in a village called Odstock, around 3 miles south of Salisbury. There is a Scandinavian cabin and three rooms which are separate from the house. Alabare House is ideally situated within central Salisbury. Established as a small Christian retreat centre it also welcomes bed and breakfast guests throughout the year. Lodge Farmhouse enjoys the most stunning views in Wiltshire. 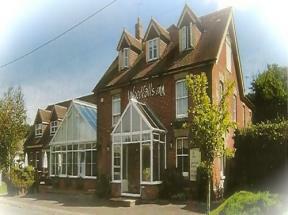 Located near Salisbury(SW 9 miles) it is perfectly placed as a tour base for most of the south of England. Winners of the SW Regional "Best Bed and Breakfast" and awarded the "Sparkling Diamond." We've enjoyed welcoming guests, many of whom return again to relax for weekends, holiday or business.